The Role Of WiFi In Mobile Broadband! WiFi plays a massive role in modern cellular data infrastructure, including both prepaid and postpaid wireless carriers. First, let's demystify what this technology is all about! 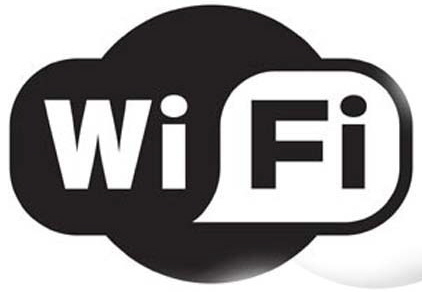 WiFi is a wireless technology that is found in virtually every modern computer and smartphone, usually used to connect wirelessly to the Internet. It's also now commonplace to find it in a slew of other electronic devices like printers, gaming consoles, smartphones, televisions, media players, external hard drives, and sometimes even kitchen appliances. These WiFi-enabled devices are often referred to as "connected devices," meaning that they can be connected to other standalone devices, or to the Internet. In the case of a WiFi enabled printer, it allows you to print wirelessly from anywhere in the general vicinity (i.e. in your home or office). Indoors, you'll usually be able to connect to it within 32m or 120 feet (this is the general standard). My printer has this feature, and I'm able to print when I'm downstairs in the family room to the printer upstairs in the office in the opposite corner of the house. I find this to be tremendously convenient, and it reduces the number of cords and wires as well! With a WiFi media player, you can download movies and stream them directly to your TV without the need for wires or memory cards (think Roku or Google TV). It really is an amazing technology that opens up worlds of possibilities, and it's a standard that's been around for so long that you can rest assured that it's not going anywhere anytime soon. One important aspect to keep in mind is that WiFi in and of itself is not the Internet. It's basically a wireless protocol, which is a fancy term for an industry accepted (and regulated) standard. It allows you to connect, or network, two or more devices together. So, if you have an Internet connection with your cable or home phone provider, you can buy a wireless router that uses the WiFi standard, and if your computer has a WiFi network card, you'll be able to connect your computer to the router and thereby connect to the Internet. In the case of the wireless printer example, the printer is not connected to the Internet, so the wireless connection you're making is simply to allow your computer to communicate with your printer to avoid the need to use a cable. Of course, most modern connected printers are connected to the Internet to download calendars, kids activities/coloring pages, documents from your cloud folders, etc. You'll often read that it stands for "Wireless Fidelity," however, that's actually not correct. It's actually said to be a play on words to mirror the commonly used term "Hi-Fi," and is simply a more consumer friendly term referring to the wireless networking IEEE 802.11 technology. There are a number of version of this standard that you may have heard of, including 802.11a, 802.11b, 802.11g, and 802.11n, 802.11ac...802.11ah, etc. Generally speaking, these represent different speeds and security standards. Newer versions are virtually always backwards compatible, which means that if you buy an 802.11.g router, it will still work with your older computer than may only have the 802.11b standard. You simply lose the benefit of the faster speed of the newer version. WiFi has the advantage of being very fast and secure, and can be used as a Local Area Network (LAN) to connect to various devices without the need for cables. It's also relatively inexpensive, and easy to setup. Note that you should make use of some basic built-in settings to ensure that your neighbors or any other unauthorized users cannot access (i.e. steal!) your network and get free Internet access. Also, when comparing a Wi-Fi connection to a cellular Internet connection, Wi-Fi technology is so inexpensive that wireless carriers work hard to get customers to use it instead of their cellular connection; they call this Wi-Fi Offloading. Even if they lose revenue from you buying extra data, it's still less expensive than them having to build out capacity to support that usage. The major disadvantage of WiFi is that its range is limited. As noted above, one access point (i.e. your wireless router) usually reaches a maximum of 32m (120ft), which means that you can only use it in certain rooms in the house (depending on how far you are from the base), or in coffee shops, etc. You'll often hear of these different pockets of WiFi signals referred to as "hot spots." As you get out of range of the hot spot, the signal will become weak, and you'll lose the connection. Later WiFi standards (ex. 802.11n and beyond) have longer ranges, and the antennas on routers are continually improving. You can also purchase signal repeaters, which you can plug in around the house; these nifty devices basically re-broadcast the signal to enable greater range. I use two of them in my home; one upstairs and one downstairs. Because of its limited range, unlike a cell phone, you can't go anywhere you want, or drive away from the hot spot and stay connected. Some communities or even cities, have setup large grids of Wi-Fi routers to enable people in those areas to be able to travel around and stay connected. However, these Wide Area Networks (WANs) are not to be confused with cellular networks, which are so vast that you can drive across the country while maintaining a connection. To learn more about wireless (cellular) Internet, including prepaid options, you can visit Wireless Internet. Every modern smartphone now includes Wi-Fi technology. While this was not historically the case, as providers were concerned about losing network traffic (i.e. customer stickiness), now they're happy to offload data traffic to avoid the high cost of building out high speed broadband networks. Given all of the free hot spots around these days, it allows cellular customers to connect to local hot spots (ex. coffee shops) and home networks to access the Internet without having to use their cellular connection. So what? Well, because you usually have a monthly data allowance (i.e. limit), or pay for each MB you use, connecting to a Wi-Fi networks will save you money! So What's Prepaid WiFi All About?! So now that you know what WiFi is and how it's used, you may be wondering how it relates to prepaid WiFi! Well, in terms of having your own network at home to connect to the Internet connection you already have, or connecting to your printer, it's completely unrelated, because that's all free! There was a time where certain companies were building relationships with WiFi providers across the country, and selling prepaid bundles that was much more cost effective and effiicient than paying each time you connected. However, these companies essentially no longer exist. Free hotspots became so pervasive that it no longer made sense to pay for such access. So where prepaid WiFi comes into play now is on airplanes (think Gogo inflight access) and hotels, where you buy service for a set period by the hour or day. I personally find these options to still be very expensive, so I'd rather bring my own Wireless Mobile Broadband! Understanding WiFi and how to take advantage of it while using a smartphone is wise. However, buying prepaid WiFi plans with any frequency (in airplanes and hotels) is usually not a good value. 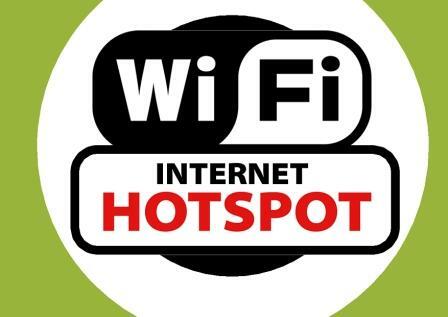 Free hotspots are so pervasive, and Prepaid Hotpots are so inexpensive, that you're better off going that route wherever possible (of course they don't work in airplanes!). At one point (in 2010) Sprint had begun decent rollouts of a new type of WiFi open standard network technology called WiMAX. The largest player at the time was a company called Clearwire, which was a partnership with Sprint Nextel, Comcast, Google, Intel, and Time Warner (Sprint eventually bought 100% in 2013). In December 2008, Clearwire actually changed its name to just "Clear." These were some pretty heavy hitting companies that had teamed up to build out WiMAX, which was essentially the same idea as WiFi, however, on the same national scale and coverage as cellular networks. It's basically a WAN or Wide Area Network. Because it's based on an open standard technology, the thought was that you'd be able to have speeds that are much faster than existing 3G networks at the time (WiMAX was referred to as 4G), and at a much lower cost that other proprietary network technologies like LTE. The service that Sprint launched was called Xohm, and they spent several years rolling it out, so coverage took some time to become truly nationwide, and they never actually achieved that goal. Sprint actually canned the Xohm name following the merger with Clearwire, which it had a majority ownership in; they called the new company Clear. Sprint chose WiMAX as its next generation 4G network because the technology was real and already existed, whereas 4G LTE (Long Term Evolution) was another upcoming standard that most of the rest of the world was expecting to migrate to as the next standard for highspeed broadband. Ultimately, Sprint gave up on WiMAX in favor of LTE, but enjoyed almost two years head start of 4G compared to its competitors. History has shown that despite this head start, they were ultimately late to the 4G LTE game, which became the worldwide standard, and the cost of managing what was to become an obsolete technology was massive. In other words, they took a bet and failed. Learn more about 4G and Prepaid WiMAX, and its interesting history.